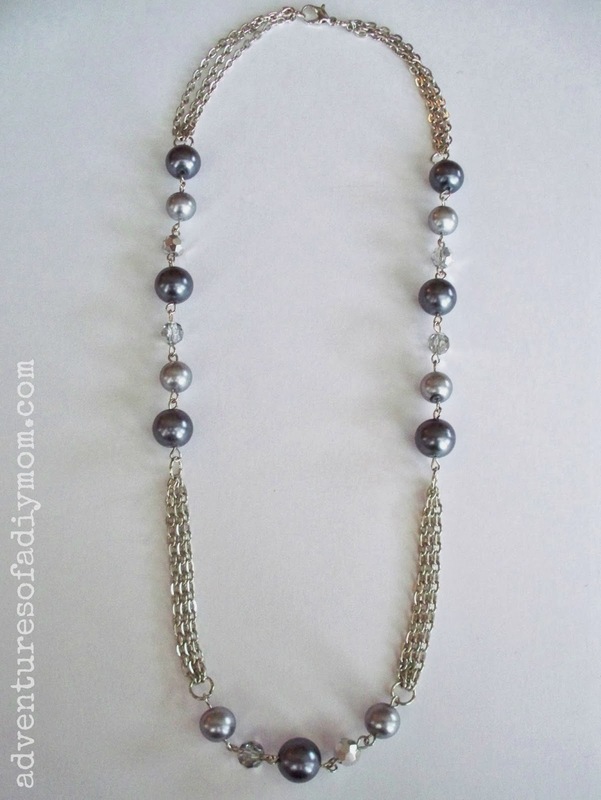 Today I'm sharing chain and bead necklace I made for my New Year's Eve project with Prima Bead. I love the look the layers of chain add to the necklace. I also love the classic feel of grey and silver. This piece will go with just about anything. Step 1 - cut three pieces of chain 2" long. Step 2 - attach the chain with a jump ring. Repeat steps 1 & 2 three more times. Once with 2" chain and twice with 2 1/2" chain. Step 3 - Form a loop on each bead using eye pins. 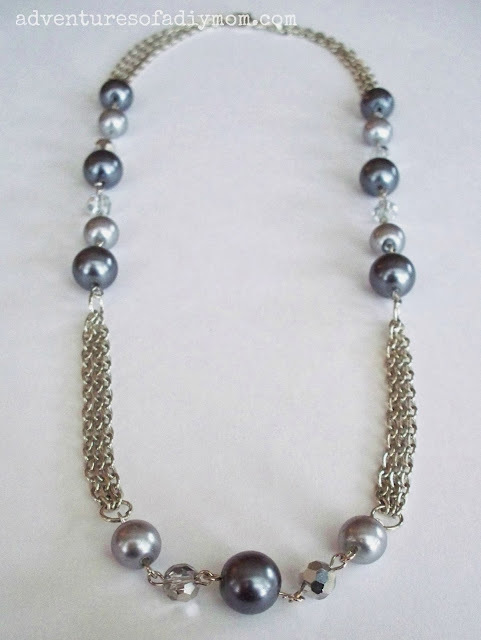 Step 4 - connect 5 beads together, by opening the loop, inserting the next bead and closing the loop. Step 5 - same as step 4, except using 7 beads. Step 6 - connect all your pieces with jump rings, using the 5 beads as the center. Add your two 2" chain pieces to both sides. Then add your 7 bead pieces to both sides, and finally your 2 1/2" pieces to both sides. Add a clasp and you're done! Directions state to cut 3 pieces of chain 2" long. I didn't see a mention of 2 1/2" chain until after Step 2, where it says: "repeat steps 1 & 2 three more times. Once with 2" chain and twice with 2 1/2" chain." Am I missing something? I'm sorry if the directions aren't clear. The total amount of chain you will need to cut is 6 pieces of 2" chain and 6 pieces of 2 1/2" chain. You will then connect 3 of the 2" pieces of chain together with a jump ring at each end. Then connect the remaining 2" pieces of chain with jump rings at both ends. Then connect three 2 1/2" pieces of chain with jump rings at both ends. Lastly connect the last remaining three 2 1/2" pieces of chain at both ends. From there continue on with step three. I hope that makes sense.